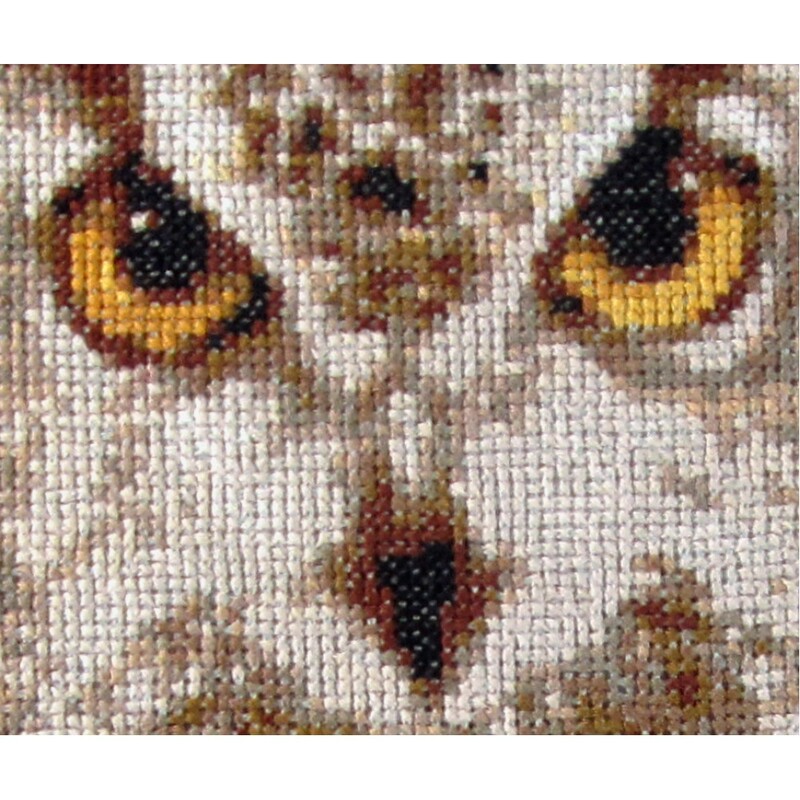 Cross stitch kit of a beautiful close up of a great horned owl with piercing bright eyes. 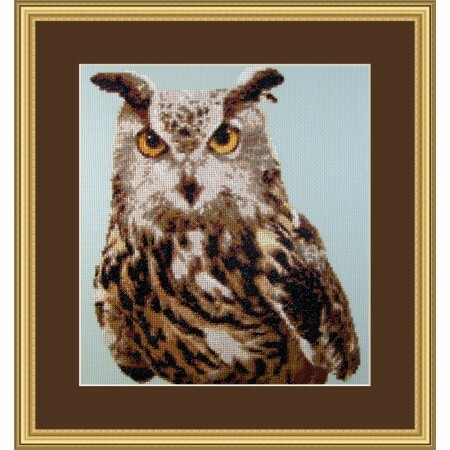 Very realistic and only 18 colours. 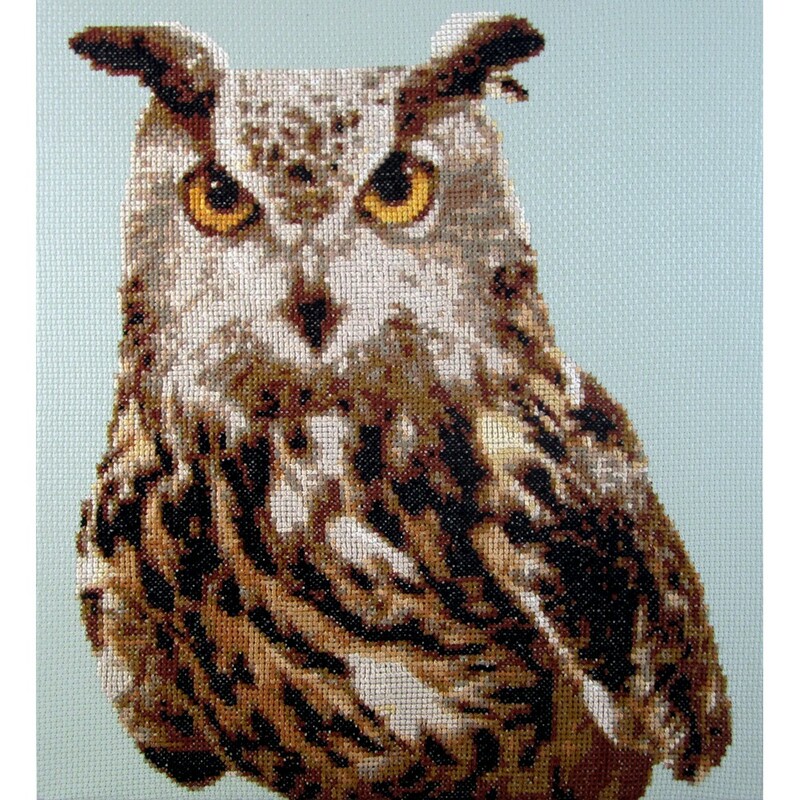 DMC floss and mintgreen aida by Zweigart.